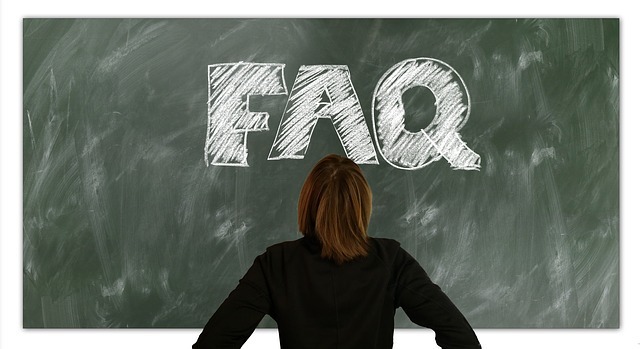 Along with this post on LinkedIn FAQs, you’ll find links to the others at the bottom of the page here. 1. Is LinkedIn really as important as I keep hearing? LinkedIn is undeniably the executive job-seeker’s most important and powerful tool for online personal branding, networking and career management. In fact, NOT having a robust LinkedIn profile can actually be detrimental to your job search. Along with being invisible to the very people you need to be positioned in front of, you’re representing yourself as out of date with the digital age and the new world of work. Whether or not you want to accept it, you’re being Googled and evaluated by what people find on the first page of search results for “your name”. Decisions are being made about you BEFORE you ever reach out to them and send your resume. In Google search, your LinkedIn profile – if you have one, and it’s fully complete – will likely show up within the first 3 search results. That’s powerful stuff! Make sure your LinkedIn profile hits all the marks. Your branded LinkedIn profile helps position your promise of value (or personal brand) to your target employers, advance your thought leadership, and expand your brand community. Your LinkedIn profile provides critical “social proof” corroborating the claims you’ve made about yourself verbally and in your other career materials (resume, biography, cover letter, other online profiles and web pages). 2. What is the best way to use LinkedIn for job search? LinkedIn works for you passively – as a personal SEO (Search Engine Optimization) magnet, drawing people to your profile – AND proactively, when you gear up for job search and leverage all the networking and search features it offers. Build out your LinkedIn profile with keyword-rich content that brands and differentiates the unique value you offer. Use the Summary section to generate chemistry by highlighting your personality, leadership style, and good-fit qualities for your target employers. Expand and engage your LinkedIn network. Use LinkedIn for research, and competitive and market intelligence. Keep your personal brand top-of-mind with people who can help you reach your career goals. More in my post, Essential Checklist to Optimize LinkedIn For Executive Job Search. 3. Does it matter how many people I’m connected to, and who should I connect with – everyone who asks? I believe in accepting most invitations to connect, but I always check their profiles first, to be sure they are real people and not spammers, scammers or someone trying to sell me something. Think of it this way. The more people you’re connected with, the wider your network, and the more likely good-fit opportunities will come your way. And, once you reach the 500+ connections mark, your profile ranks higher in search results . . . as long as your profile meets LinkedIn’s completeness criteria. 4. Do I really need a photo on my profile? Although some people on LinkedIn fear discrimination based on age, appearance, ethnic background, etc. if they include their photos, I still advise that it’s best to have one. There’s no doubt that discrimination exists in job search, so you’ll need to decide for yourself, but there are risks involved with NOT having a photo. Most executive recruiters and hiring decision makers at the companies you’re targeting will see your LinkedIn profile before they see anything else about you. Put yourself in the shoes of these people assessing your candidacy through your LinkedIn profile. More in my post, Deadly LinkedIn Mistake: No Professional Photo. 5. I have to keep my job search undercover. How do I do that on LinkedIn? Something like 90-95% of my c-suite and senior-level executive clients are employed, but looking to move on for various reasons. So they need to keep their job search under wraps. But, they’ll probably need to add to, or change, the content in their LinkedIn profile to position themselves as good-fit candidates for their target employers. And they’ll need to ramp up their activity on LinkedIn. Accomplishing this, while staying undercover, doesn’t pose a major challenge, but it does require a stealth strategy, and an understanding of how LinkedIn works. 1. Turn off notifications to your network. 2. Safely view other LinkedIn profiles without them knowing. 3. Add or change profile content slowly. 5. Choose who can see your connections. More specifics in my post, 5 Ways to Keep Your Executive Job Search Confidential on LinkedIn. Previous Post: « Is Your Online Presence Strong Enough to Compete in Executive Job Search?